… shot his wife in the head while playing a drunken game of William Tell at a party? She died instantly. He never went to prison for the crime, as it happened in Mexico, and he bribed his way out of the country. The author was also a drug addict and a drug dealer. He was constantly in trouble with the law in the US, so he moved a lot within the US and abroad (London, Paris, Berlin, South America and Morocco). 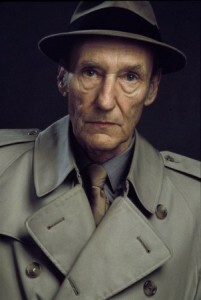 William Burroughs is an American author who wrote 18 novels (Junkie and Naked Lunch) and 6 collections of short stories. He was friends with Jack Kerouac and Allen Ginsberg. He died of a heart attack in 1997 at the age of 83.